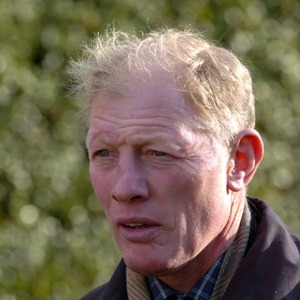 Former Jump jockey Gary Moore is one of the most successful dual purpose trainers in Britain. His late father Charlie was also a trainer and his four children are all heavily involved in racing. Sons Ryan, Jamie and Joshua are all jockeys – Ryan being the three-time champion Flat jockey with numerous Group 1 victories to his name, while Jamie and Joshua ride over jumps. Gary’s daughter Hayley has ridden successfully on the Flat as an amateur and in 2011 won a competition – “The Filly Factor” – to become the UK’s first female race commentator. His best horses include Queen Alexandra Stakes winner Bergo and Mourilyan, successful in the Listed March Stakes at Goodwood, while over jumps he enjoyed victory at the Cheltenham Festival with Tikram.